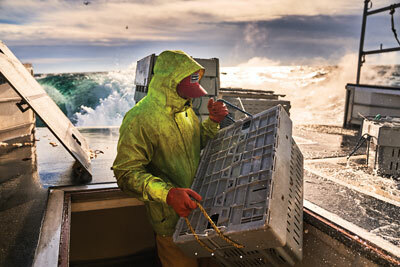 Authentic Maine design is not one style but many. What they all have in common is a strong sense of place. Our homes are reflections of our surroundings, and decorating inspiration is found everywhere — from the calming blues of the ocean and vibrant greens of the forest to the rough-hewn siding of an aging barn and the gleaming steel of an urban industrial neighborhood. Here, you’ll find four very different expressions of this aesthetic, along with ideas and advice for creating your own distinctly Maine abode. Celebrate simplicity with cool colors and vintage accessories. 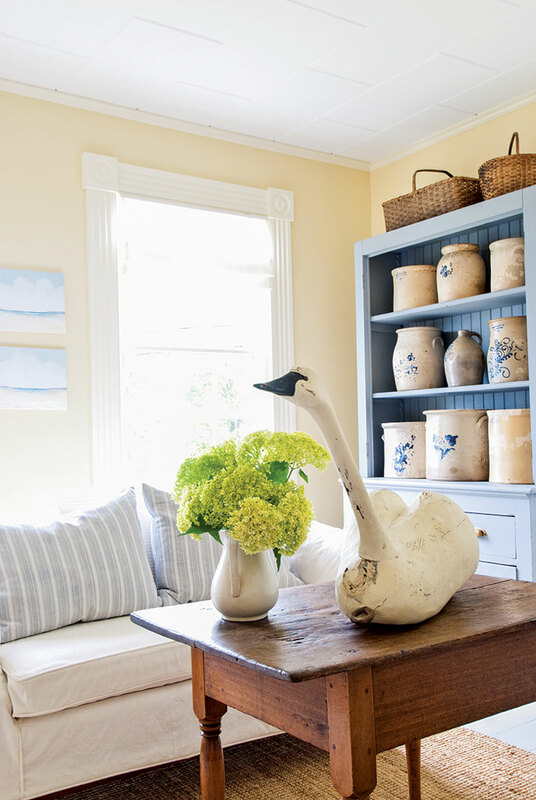 It only takes a handful of accessories to fill a room with New England charm. In this home, carved wooden birds and cows offer a playful nod to the natural world, while a sailboat model on a windowsill or coffee table hints at the breezy, rocky coast. Or, find a large barn star in a color that matches your decor — it’s a simple way to fill an empty wall with authentic traditional style. Nothing says New England like a palette of soft neutrals and cool shades of gray, blue, and green. Here, natural tones in a rustic braided rug and weathered wood table blend nicely with crisp, ocean-blue stripes on a chair and pillows. 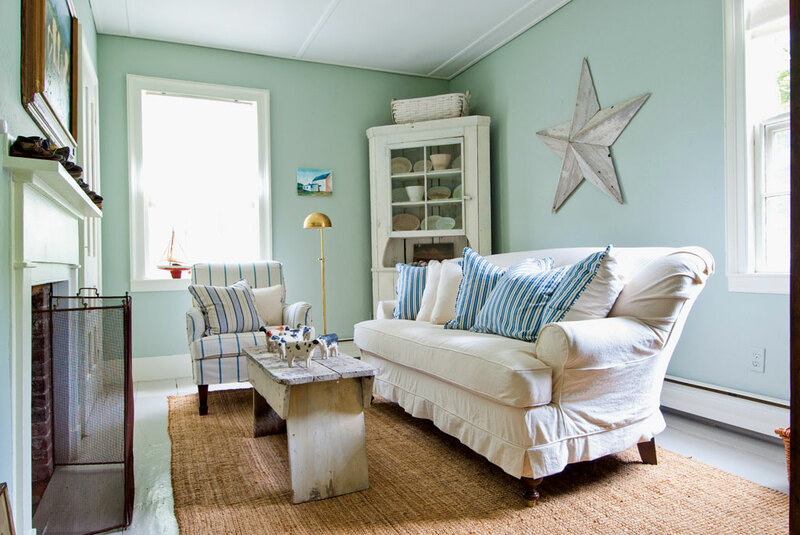 Look for fabrics, furniture, and accent pieces in similar calming colors to evoke a summer cottage feel all year long. Looking for a cost-free way to spruce up a room? Start by looking outside. Take a walk on the beach or a hike along your favorite mountain trail. Smooth stones, branches, and other found objects make for easy decoration, whether showcased on shelves, scattered across the mantle, or displayed in clear glassware as a table centerpiece. Just be sure to check the rules and collect responsibly — many state or nationally protected lands prohibit removal of natural objects. Instead of buying new, seek out well-made vintage furniture you can refresh by repainting or reupholstering. For a low-cost, casual look, upholster sofas and chairs using a painter’s drop cloth from the hardware store — it has the look of French linen with the durability of canvas. One piece of English ironstone tableware may not look like much on its own. But a collection of them displayed in a hutch will make a statement. Search shelves at antiques shops and thrift stores for pitchers, crocks, and glassware with similar colors or patterns. Chips and cracks only add to a New England home’s appealingly weathered aesthetic. Don’t be afraid to center a room around a piece of art, rather than adding it as an afterthought. Hang small art on big walls to bring focus to pieces. Placing your favorite artworks in unexpected places creates an even stronger visual effect. Play with scale and contrast to make your unique design pieces stand out. In this home, a black crow looks sharper sitting above shelves full of white ceramic pieces. Features like wide plank flooring and decorative molding are beloved hallmarks of old homes like this one. Bring them to the forefront by carefully choosing paint colors. Showcase floorboards with a coat of cool, light gray, and distinguish molding from colored walls using a shade of soft white. The resulting look strikes a lovely balance between modern freshness and antique warmth. Want to get the look? Shop our selected list of furniture, paint colors, and accessories. 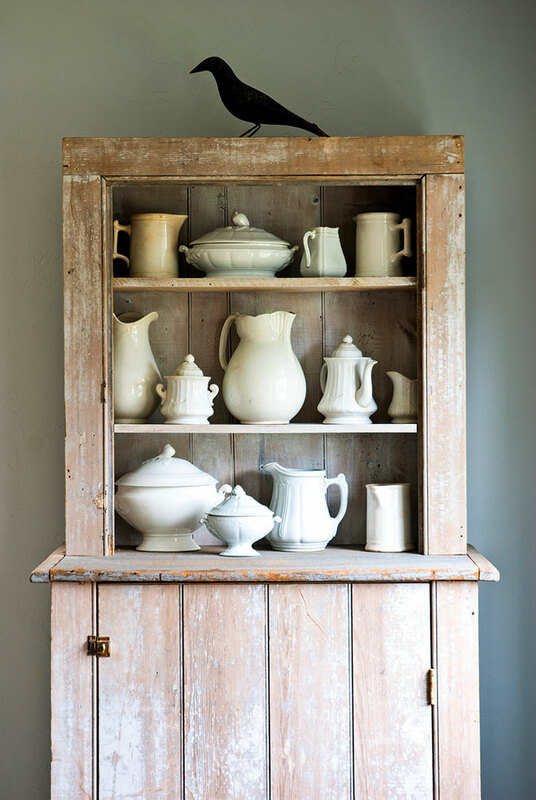 Create a rural aesthetic with salvaged wood, country antiques, even vintage junk. 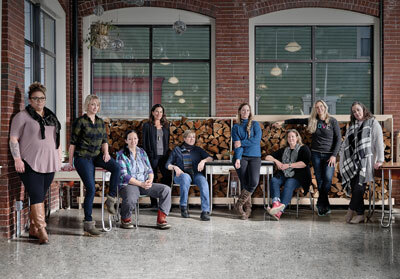 Typically from old barns, factories, and warehouses, salvaged lumber is not only an ingredient of sustainable design, but also a way to add a layer of history and warmth to a home. 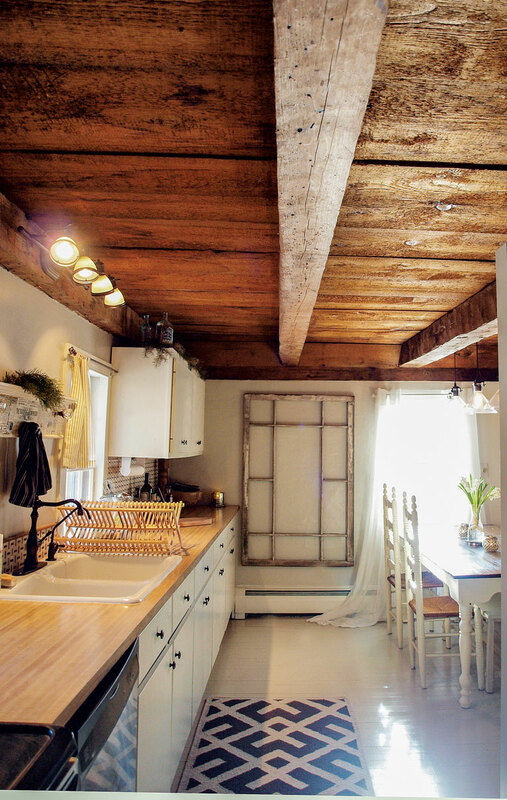 Old shutters might form the frame of a mirror, for example, or, as in the house pictured here, barn siding may be used to build a kitchen table. What would be considered flaws in other pieces — nail holes, nicks, and saw marks — perfectly suit a rustic style. When using reclaimed wood, consider both the environment and the integrity of the structure itself. Rustic style favors natural, textured materials over smooth plastics and composites. A leather chair, whether classic or contempory, is an obvious fit with this style’s informality, but don’t overlook the impact of small details — even a humble wooden dish drainer adds to the look. A rustic home is the ultimate expression of the homeowners’ easygoing nature; nothing is staged. Furniture and accents, both old and new, have distinct character and, often, personal meaning. 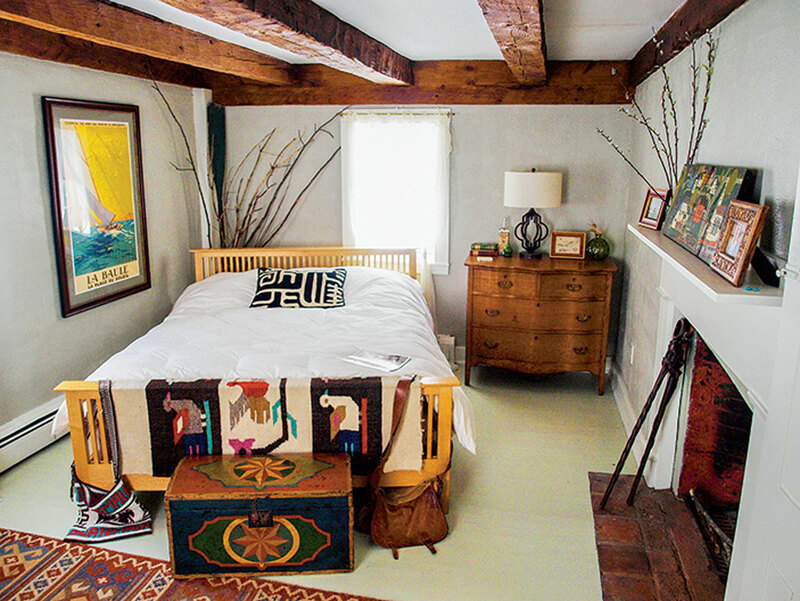 The bedroom of this house is furnished with a chest made by a Vermont artisan and a distressed antique bureau. 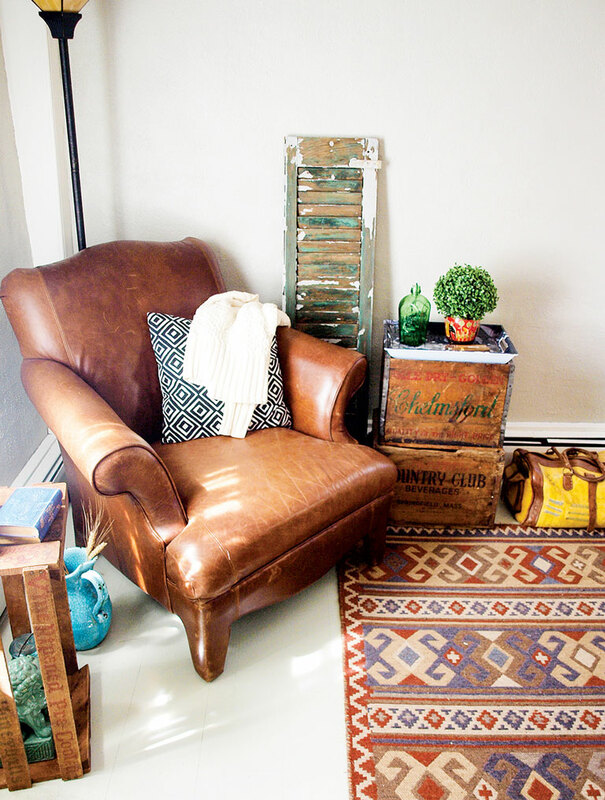 Other eclectic touches include a Guatemalan rug and lanterns picked up on a trip to Morocco. One man’s trash really can be another man’s treasure. Here, old wooden beverage crates make distinctive side tables, and a window frame becomes a wall sculpture. A palette from nature is a hallmark of this style. Warm, rough wood contributes the dominant hue, which is complemented with neutral colors like gray and white. The contemporary urban home doesn’t shut out its surroundings. Big windows embrace the cityscape — in this case, a Rockland industrial neighborhood and the ocean beyond. Look outside for design inspiration, too. The galvanized metal posts in this home take their cue from nearby warehouses, and the slatted wall alongside an open stairway is a dramatic echo of the porch railing. 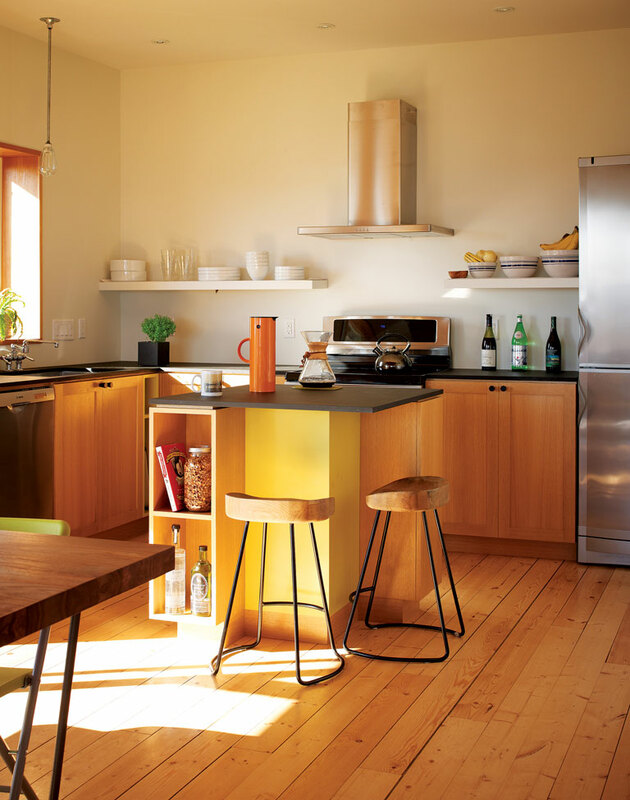 Mix cool metals with warm woods to achieve a nice balance of traditional and new materials. A minimalist aesthetic calls for white walls and polished natural woods — and well-placed doses of color to attract the eye. 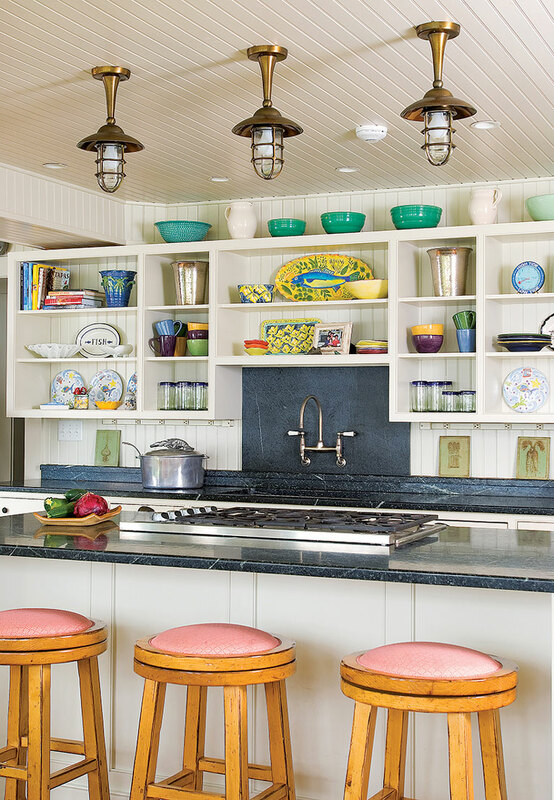 A yellow splash on this home’s kitchen island, for example, plays off the lime dining room chairs, but the most breathtaking burst of color comes courtesy of a brilliant blue Penobscot Bay. Everything in urban style has a purpose, so it’s important that everything look great. Art is as likely to be underfoot — say, an Angela Adams rug — as on the wall. The goal is a well-curated, not sparse, decor. A lack of clutter is key to creating a bedroom that feels relaxing the moment you enter. Yet a spare use of furnishings can also be dramatic. The simply furnished master bedroom in the Rockland house is majestic at sunrise when it is bathed in pink and orange light. 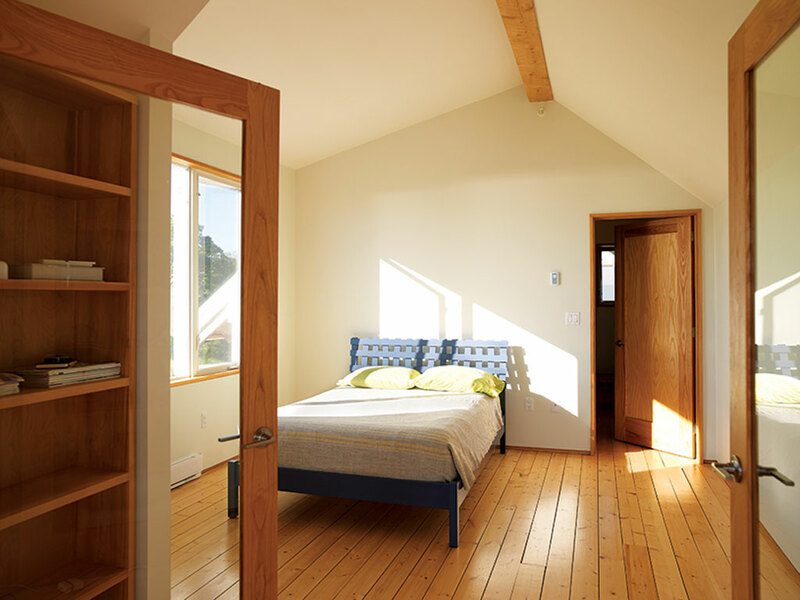 Natural light enhances rooms throughout the house at all hours of the day. Use large pieces of furniture to define rooms in open layouts. Avoid filling tight spaces with small furnishings — they will just make the room seem cramped. Sometimes less really is more. Instead of a wall of closed kitchen cabinets, consider floating shelves, which make a room feel more spacious and are more in keeping with the lean look of urban style. A neutral palette in both the displayed dinnerware and wall paint contributes to the clean look. 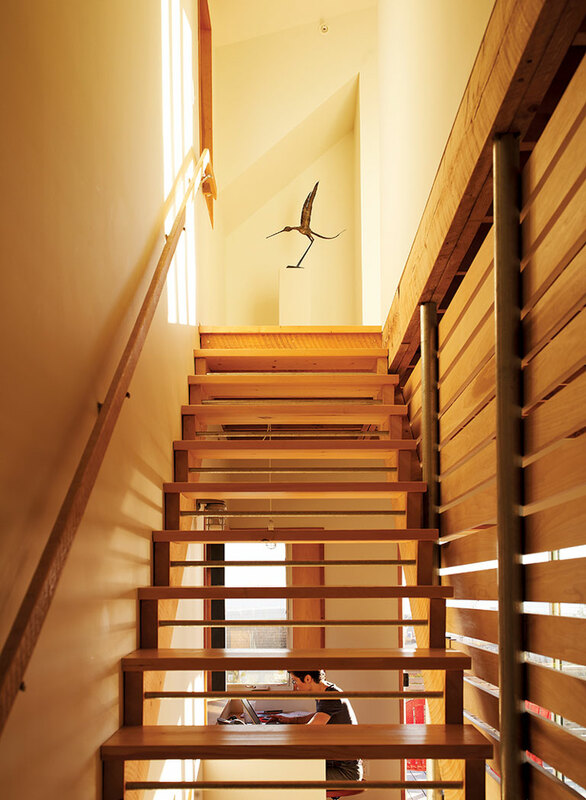 A well-positioned bird sculpture at the top of the stairs, along with other earthy accessories in key locations, hint at the natural world, a key component of this style. Plants, potted in sleek cube-shaped planters, bring bursts of brilliant green to unexpected places. The best seaside decor is just like a day at the beach: easy, breezy, and bright. Make the most of natural light by opting for a bright, highly reflective paint color, like classic white. Continuing the color from the walls to the ceiling further increases its brightening power, while making the room feel cozy and pleasantly enveloping at the same time. Choose sheer window treatments or forgo them entirely for an even sunnier space. 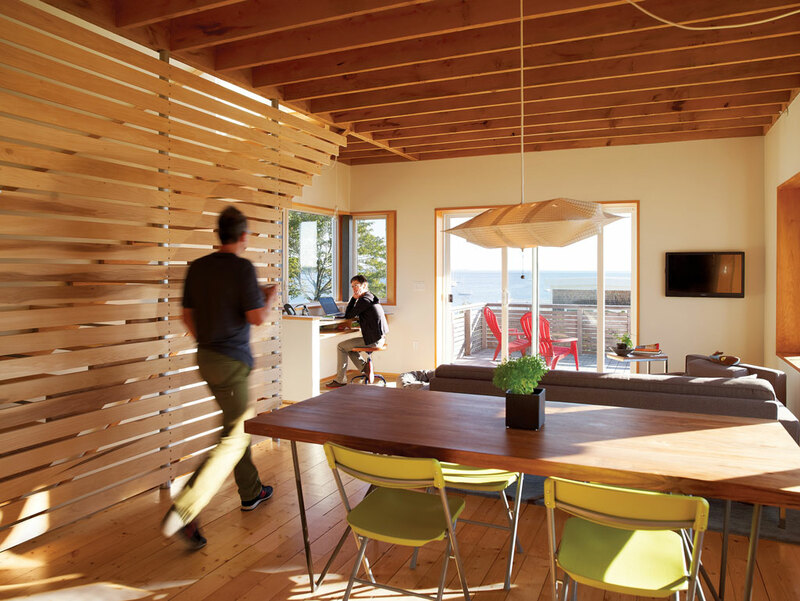 In many seaside cottages, space is tight. Maximize yours by picking furniture pieces that do double duty, like a day bed — both a place to sit and an extra spot for overnight guests. Create more functional surfaces in each room by seeking out end or side tables with small footprints. It’s the perfect way to display beach treasures without wasting floor space. Add natural beauty to your coastal home with nautical-themed accessories, but be careful not to go overboard. Keep kitsch in check by finding pieces in subdued colors. A pale-yellow frame around a vintage sea shell print works nicely in this living space. 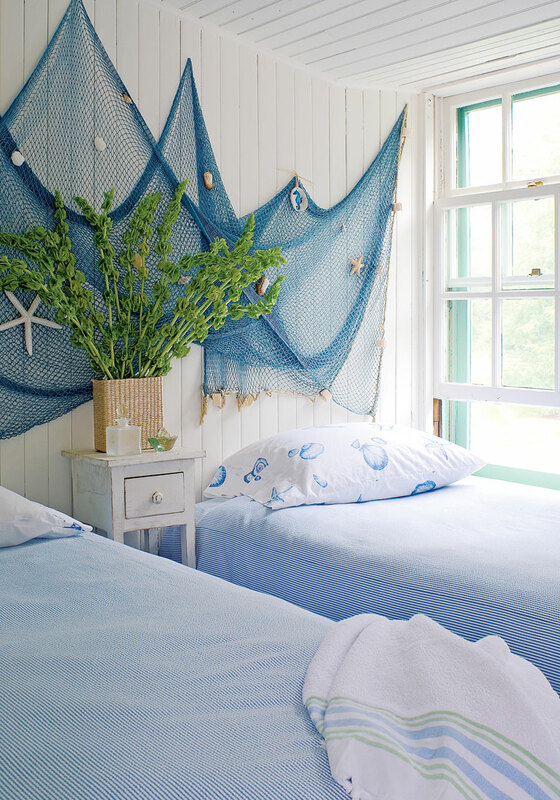 Or use netting as a casual wall hanging and tuck in sun-bleached shells and sea stars for a subtle hint of the nearby shore. For a touch of authenticity, choose housewares made from recycled sails or lobster trap float rope. Want to get the look? Shop our selected list of paint colors and accessories.